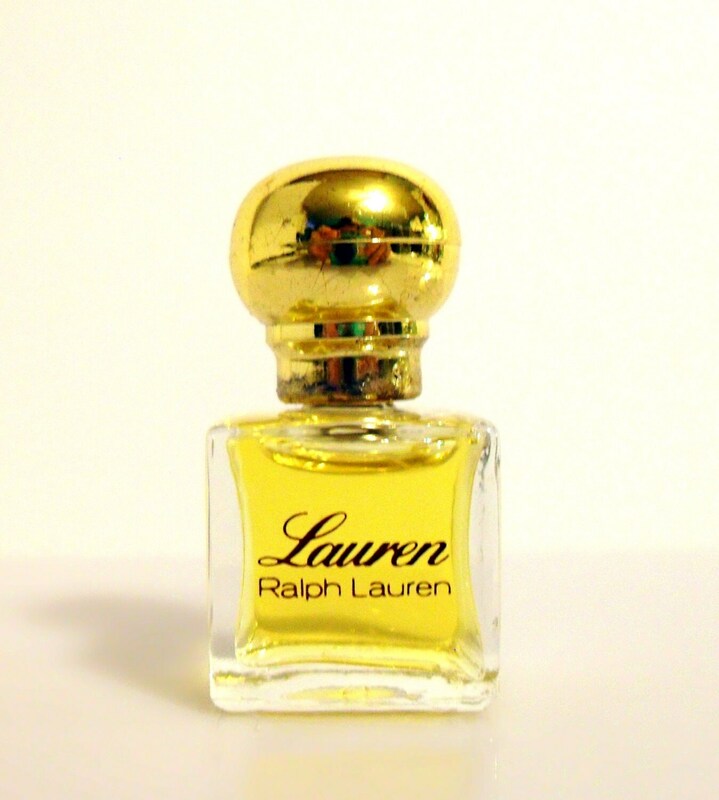 Vintage 1980s Lauren by Ralph Lauren 1/8 oz Pure Parfum Splash Miniature Perfume. Bottle stands just over 1.5" tall. Lauren was launched in 1978. 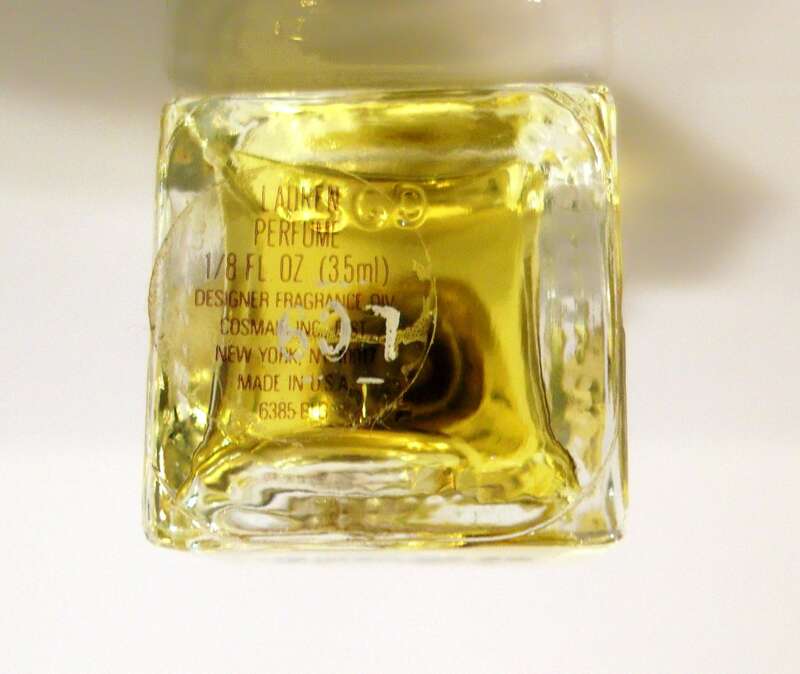 It is classified as a fresh green floral fragrance for women.